I went teaching in 1988 and in every school there were always class sets of two texts in the English department book room, My Brother Jack and The One Day of the Year. 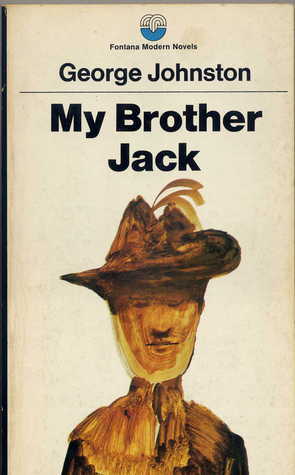 It was a rite of passage for Year 10 students to read George Johnston’s remarkable novel (complete with Sidney Nolan illustration of an Anzac on the cover), and for the more advanced students to contemplate the tension between Hughie and Alf in the latter text. Both texts were written by men coming to terms with the second generation of Anzac. Johnston’s novel is his outpouring of the tormented world of his father, an original Anzac suffering what we would now know as PTSD. Seymour’s play was a product of a walk around the inner west of Sydney on an Anzac Day in the 1950s when he realised that the day was shrouded in an alcoholic haze. Both texts challenged students to question, understand and eventually decide about Anzac. And war, especially World War II, was still in living memory. 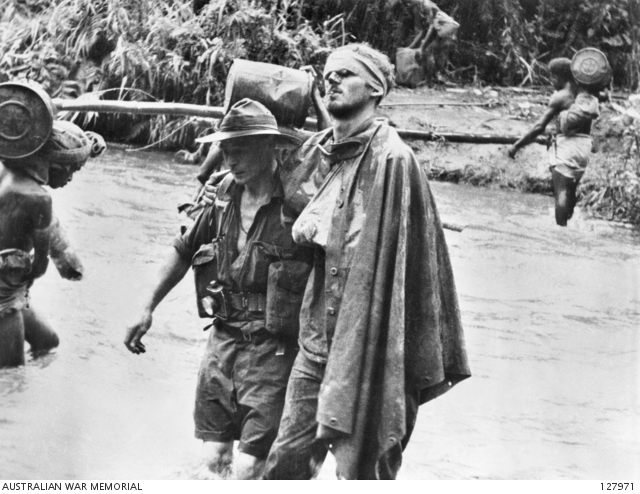 Our key sources are Damien Parer’s photographs of the New Guinea campaign. And on a Wednesday morning a few weeks ago I was desperately trying to link Parer’s iconic image with that of Simpson and his donkey. Look, I said, it’s Simpson, it’s Parer, and it’s Anzac! And I realised I was speaking another language. Of my 25 students, five were born overseas and another ten come from non-English (read non-British Empire) backgrounds. I stopped. I asked how many had been to an Anzac Day service; there were two, and one of them complained that she had to go because her father was in the army. So I stopped. And then a very smart young man called Rohan Phillip asked me the question: Mr Shield, do we remember or celebrate on Anzac Day? I did the most logical thing, and said I could not answer that. I couldn’t because I knew that the language of Anzac meant nothing to the students in front of me. At that moment, it was clear that, despite millions of Anzackery dollars, the meaning was lost, or at least the message was not getting through. Perhaps somebody at the Department of Veterans’ Affairs should do a cost benefit analysis. So I called the brains trust, Professor Peter Stanley, who sent my history class in a less than 100 word paragraph the answer to Rohan’s question. I put his answer on the screen and all of sudden something quite wonderful in a history teacher’s life happened. So it is upon our heads to work out how to teach the young people today. 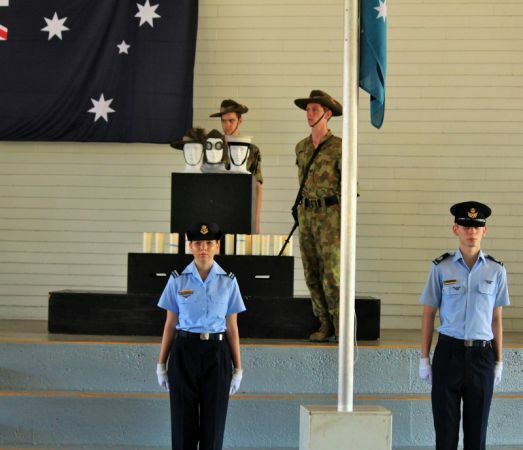 How do we teach them Anzac without flags and Anzackery? How do we teach those who have been in the country for a minute to understand an idea that is apparently part of our DNA, but is, for them, utterly baffling? ‘We will remember them’ are possibly the four most poignant and meaningful words in the Australian lexicon, but I’ve worked out you can’t ask young people to remember something they don’t know. We cannot ask the young people to remember. We can teach them. We can ask them to take part in commemoration. And maybe, just maybe – they might understand. In Darwin, being a company town, we take Anzac Day very seriously. And at our school, we take it even more seriously. Our Anzac Day ceremony comes complete with the Administrator, the Chief Minister, the Education Minister, the Brigadier of the 1st Brigade, and various other VIPs, including the Brownies’ Brown Owl, who take ten minutes to process through the 1200 students to the smart seats at the front. We have a catafalque party, candles, and LED screens with flags waving and blaring the Dam Busters theme, temporary flagpoles and an annual pantomime re-enacting an Anzac theme – nurses, POWs, etc. The best one was a couple of years ago when we commemorated AE2 at Gallipoli and, to our astonishment, a three-metre cardboard submarine came out from behind the curtain and crossed the stage, narrowly missing the candles and slouch hat elegantly placed on the black drama box faux cenotaph. Some sailors, drafted from HMAS Coonawarra and standing at attention at the side of the stage, looked uneasy at the shipshapeness(?) of the object. The cooking class makes morning tea (mainly cupcakes) in the gym for the visitors after the ceremony. The budget runs to about $30k, including chair hire (normally at our assemblies the students sit on the ground). This year, though, the normal organiser was unable do the day through ill health. There was much discussion among staff – who have to buy their own whiteboard markers – that maybe we could trim the cost and, in the spirit of honest history I went to the Principal with the idea that it was time for a change. A meeting was held at which the DVA ceremony guide was our core document. And our Principal made the decision that we would go retro. Unfortunately, the invitations had gone out so we had to have the 30 or so VIPs. But, apart from that it was student-run and student-centred. Two Year 12 students emceed, read the Roll of Honour, read the Ode. The Principal gave a two minute address on why the day happened and a short discussion on Anzac ‘values’, mateship, courage, etc. The Assistant Principal played the last post on his trumpet, we had a minute’s silence and the Rouse. A Year 11 student sang the national anthem and it was over. And afterwards, staff and students declared the day a success. A couple of my students asked if that was all that Anzac Day needed to be. And I said yes. The VIPs still had a morning tea. And 1200 students and 100 teachers went back to class. Do we remember or celebrate on Anzac Day? I think that Anzac Day is an occasion for sadness. It’s closer to a funeral rather than a birthday or a wedding. Most Australians agreed, until relatively recently. 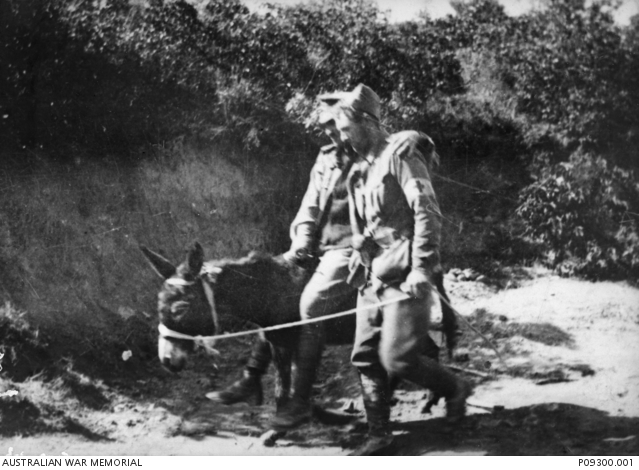 But others think that remembering includes recalling Australian achievements in war, and as Australians have generally been on winning sides, and have generally performed well in war (although at great cost) that regard sometimes turns to celebration, even boasting. I notice that the further away we get from the losses of wars the easier it is to celebrate rather than commemorate. But I notice that those who have seen most of war look on it more in sadness rather than in joy: draw your own conclusions. On an index card write a short paragraph with your response to Peter Stanley’s answer. Do you agree or disagree with his response? How does time passing change the way people view Anzac Day? Can you remember one thing you have been taught in school about Anzac Day? * John Shield is a teacher at Darwin High School, NT. He reviewed a biography of Chester Wilmot for Honest History and wrote about Top End Anzackery.